Parknasilla Resort & Spa is a historic family-friendly hotel in Kerry, Ireland. 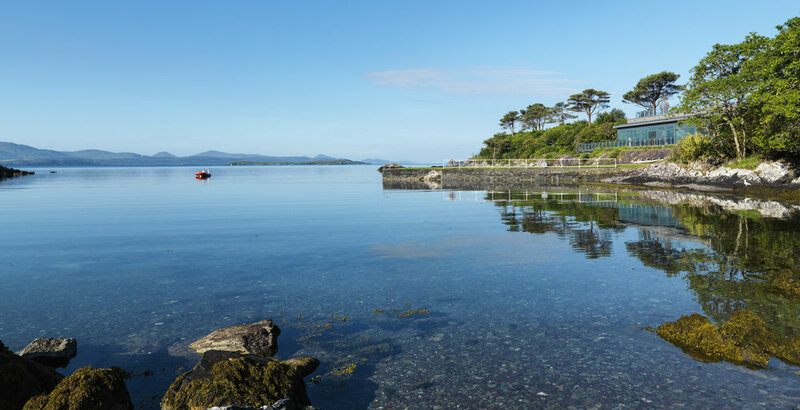 Located on Kenmore Bay and surrounded by Kerry Mountains with blues and greens melting into the horizon - the hotel is a perfect destination to reconnect with nature. Couples will love the suites, while the self catering lodges are perfect for families. Enjoy the antique charm and the panoramic views of the Atlantic ocean. Monaci Delle Terre Nere is a charming boutique hotel at the foothills of Mount Edna, the biggest active volcano of Europe. Surrounded by tranquil Sicilian countryside, with the Mediterranean Sea in the distance. The hideaway has been converted from a 19th century monastery and vineyard. There are 20 individually designed rooms, throughout the property, combining traditional wooden and stone architecture and modern design, with of the walls are made from actual lava rock and the reception converted from an old grape pressing factory. Monaci is focussed on sustainability and organic produce and is one of only three certified Eco-Bio places in Sicily. Wander through the orchards, sleep under the olive trees, or visit the organic farm. Relax by a personal fireplace on the cooler nights, or take a dip in the infinity pool during the hot days.